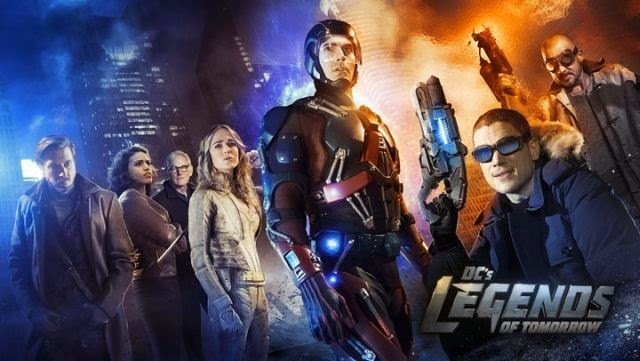 DC's Legends of Tomorrow: Watch the New Trailer! Last week, The CW announced DC’s Legends of Tomorrow, an all-new show set in the same universe as The Flash and Arrow that would feature characters from both shows as well as some brand new ones from within the DC Universe. Today, they released a specially shot trailer to give fans an idea of what to expect. The CW also released the above promo image from the show, and revealed that DC’s Legends of Tomorrow will be debuting midseason. The Flash, iZombie and Arrow will all be back in the fall at their current timeslots. Talk about a big week—and an even bigger 2015-2016 season—for #DCTV! To paraphraseJaws, we’re going to need a bigger DVR. So which #DCTV show are you most excited about?